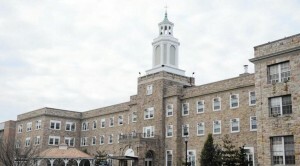 Proposed wage cuts at the Phoebe Ministries Nursing Home in Allentown have caused 400 healthcare workers to fight back. The company wants to cut wages as up to $5 an hour, a decision that will send many of the workers into poverty. In turn, such a cut would also lower the care of the residents in the home. “This proposal means a pay cut of about $10,000 for me. I don’t know how I will raise my family,” said Phoebe housekeeper Deb Edelman to bctv.org. The proposed cuts are not only harmful to the employees of the facility, but the entire community as well. Lowered wages mean lower ability to keep the hard working employees on staff. When there are fewer employees, the problems continue to mound with extreme overtime hours, short staffing and high turnover. The negative effect on the community comes into play with the employees, impoverished from the wage cuts, resorting to public services such as food stamps and welfare. This places a higher burden on the community for resources and also lowers revenue. This past year the Phoebe Ministries Nursing Home was rated one of the “Top Places To Work” by the Allentown Morning Call, and the employees who have dedicated so many years to earn it that title are working to maintain it. Employees feel as though their loyalty and years of hard work are simply being ignored with the suggested wage cuts. The Phoebe workers from both Allentown and Berks will hold an informational picket on Tuesday, November 10 from 2 p.m. to 4 p.m. in support of a rightful contract that will benefit both themselves, as well as their communities.